Johnson & Johnson stock dipped in early trading on Thursday after a jury in California ordered the company to pay more than $29 million to a woman who claimed that asbestos in its talc-based powder products had caused her cancer. In rendering its verdict in Alameda County Superior Court on Wednesday, the jury found that Johnson & Johnson knew about the potential risks that its baby powder was contaminated, but failed to warn the woman, Teresa Leavitt. Ms. Leavitt was diagnosed with mesothelioma, a cancer of the lining of internal organs that is associated with asbestos. The jury awarded Ms. Leavitt $22 million for her pain and suffering, $5 million to compensate her family members, nearly $1.3 million for her medical costs and $1.2 million for her lost wages, according to her lawyer, Joseph D. Satterley. Johnson & Johnson said in a statement that it was disappointed with the verdict, citing “serious procedural and evidentiary errors in the proceeding,” and that it planned to appeal. As in past cases, which the company has fought with mixed success, it said decades of testing showed that its baby powder did not contain asbestos or cause cancer. More than 13,000 plaintiffs have sued Johnson & Johnson over what they say are cancers caused by its talc products. The New York Times reported last year that the company had spent decades trying to keep negative information about the potential risk of asbestos contamination from reaching the public. 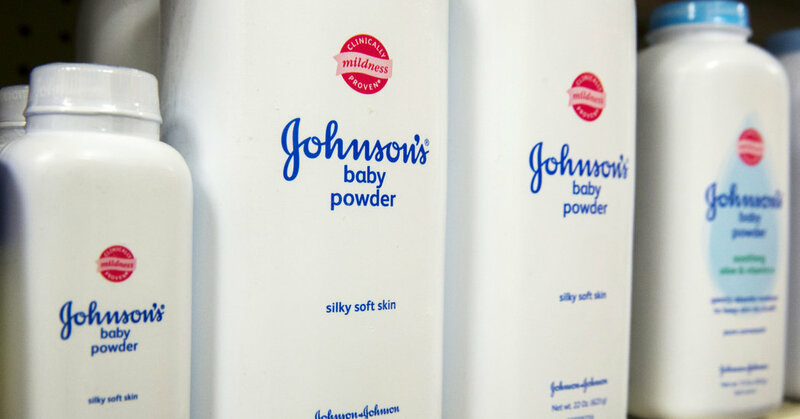 Johnson & Johnson said in a regulatory filing last month that it had received subpoenas from the Justice Department and the Securities and Exchange Commission for more details about its talc products. In July, a jury Missouri awarded $4.69 billion to 22 women who claimed that asbestos in Johnson & Johnson products, including its signature baby powder, caused them to develop ovarian cancer. In December, the company lost a motion to reverse the verdict. Talc is used in many beauty and personal-care products. The Food and Drug Administration warned this month that it had found asbestos in cosmetics sold by Claire’s, a retailer geared toward teenagers. The company said it stopped selling all talc-based products, including those cited by the agency, and planned to destroy its existing inventory. It said it had also stopped making talc-based cosmetics last year.